Concrete flooring is a common solution for garages, unfinished basements, and workshops. Of course, you will likely need to do some research to ensure that concrete is a good fit for your needs. The following questions and answers will help you better understand what goes into maintaining a concrete floor. Can I change the color of paving concrete? The easiest way to change your concrete’s color is to add a tint to the mix before it is poured. However, you can change its color after it has been poured by cleaning the surface and then applying a specialized concrete stain. Clean concrete by first sweeping dust and debris from the surface. You can then wash it with a mixture of warm water and a cleaning solution. A pressure washer may be used for especially hard-to-remove stains. Though concrete is tough, it isn’t indestructible. Cracks can appear over time as a result of settling. Keeping extremely heavy loads off the concrete surface, such as an overloaded dump truck, will reduce the risk of structural damage and scratches. Cracks and scratches can be repaired with mortar or other patching materials. What other maintenance is needed? 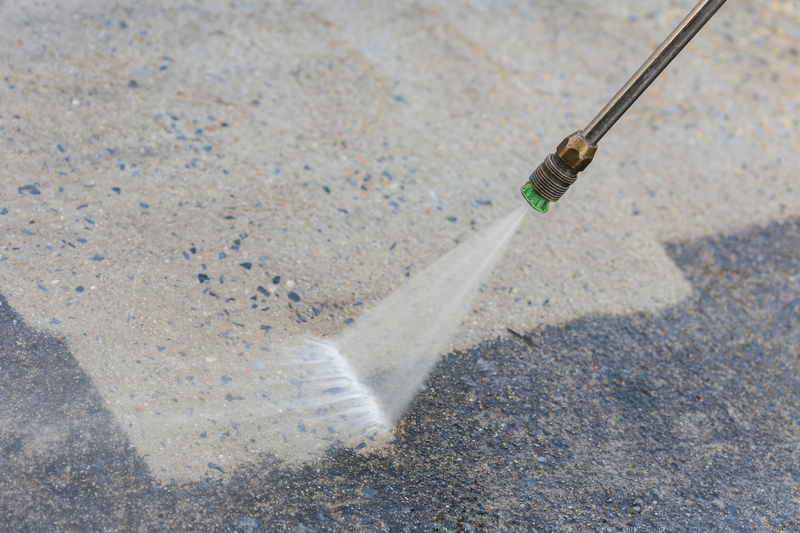 In addition to cleaning concrete regularly, applying a sealer will protect the surface. Concrete sealers are applied to provide a protective layer against stains, while acrylic sealers can be used to fill minor scratches. Before applying an acrylic sealer, use a damp cloth that has been dipped in a mix of water and liquid dishwashing detergent to wipe the damaged area clean. Acrylic sealer should then be applied to the scratch. After the sealer has dried, use sandpaper to buff it smooth. Whether you need concrete or crushed stone, you can depend on The L. Suzio York Hill Companies to supply high-quality materials for your next project. Serving South-Central Connecticut since 1898, their diverse product line allows them to assist with projects big and small. To learn more about their products and delivery services, visit them online or call (203) 237-8421.